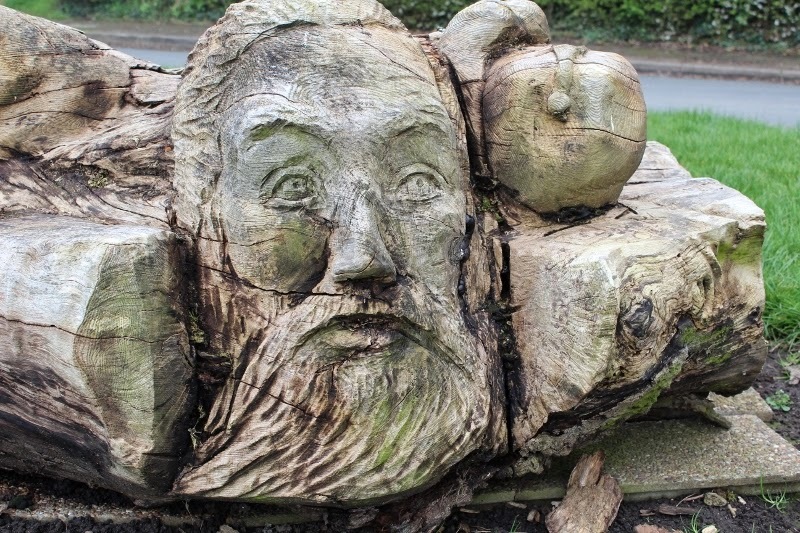 Another carving from Fangfoss, this one can be found on the village green. Goes nicely with yesterday's photo. I love your perspective in this one. Great shot! Greetings from Spain. It looks like a face out of Tolkien... or the Vikings.